Measures 2 1/2" x 2 3/4". Rubberized grip. Keychain attachment. 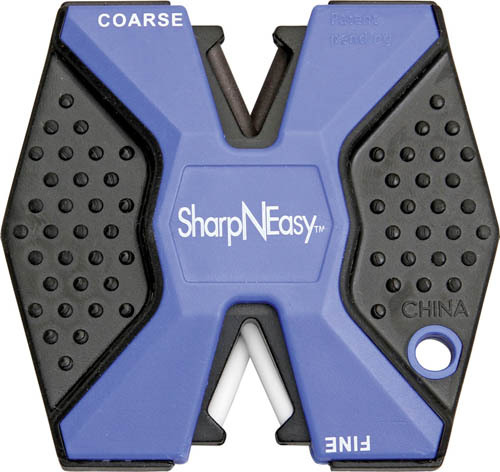 Features pre-angled coarse and fine ceramic rods that will maintain an accurate edge. Use three or four strokes through the coarse rods to restore the edge, then three or four strokes across the fine rods to finish and polish the edge for a smooth sharp finish. Includes instruction brochure.